I used to be culturally flexible, before the internet came along. I used to respect each country and their way of operating, and even assimilated to cultures as far off as Turkey or South Korea. Now that we live in an interconnected world where communication from one end of the world to another was never easier, I noticed a growing trend, the Ken and Barbie trend. Never in my life have I met people who spend so much time grooming themselves, and at the same time, compensate being stupid with looking good. When referring to Ken and Barbie, I’m not talking about a country in particular or a culture in particular, you find Ken and Barbie enthusiasts everywhere. So here’s how to recognize them. Smart way: the more you laugh, the more customers you attract, because customers like buying from happy people. Ken and Barbie way: Laughing makes you look lazy, and people might misunderstand and think you’re secretly laughing at them. Smart way: We need non-scripted meetings to discuss our strategy and try to come up with the best ideas to make our company or institution succeed. Ken and Barbie way: Meetings make some people look dumb in front of other people, including our boss, so should be avoided at all costs. Smart way: we need to be able to answer most of our clients’ questions to the best of our knowledge, then draft precise reports on demand for our clients. Ken and Barbie way: Clients who ask too many questions are rude. I mean, what if we don’t know the answer, how bad would I look in that case? Smart way: Old cars with good engines, old stationary that works well, anything old but well-made should be used and kept. Ken and Barbie way: We need to buy new stuff all the time. How bad would we look if we were surrounded by old stuff? Smart way: We rent space or housing until we’ve saved enough to pay cash for office space or housing. Ken and Barbie way: We need a mortgage on a house in a safe neighborhood and with a nice view, how bad would we look otherwise? Smart way: We need to be accurate and tell the truth no matter what. Only true problems can be fixed. Ken and Barbie way: How bad would we look if we admit we have problems? We need to make it sound like things are going great all the time. Smart way: I want employees who are sincere about getting work done and who are devoted to their jobs. The more stuff they know the better. 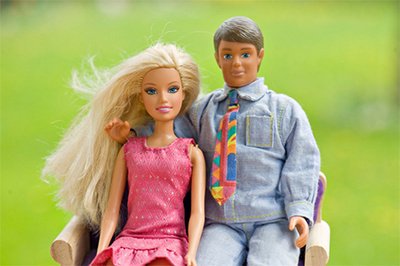 Ken and Barbie way: We only hire those who dress well and went to expensive, high-ranking schools. Again I’m not thinking about a country in particular. I’m thinking about the new trend which tends to value how things look over getting work done the smart way. The Ken and Barbie way would be to traffic unemployment figures for example, whereas the smart way would be to look for solutions on employment. Speaking of solutions to the curse of unemployment, that will be the subject of my next column.